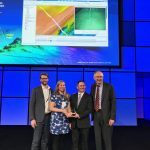 Geodynamics was honored to accept the Collaboration Partner of the Year award at ESRI’s Federal GIS Conference in Washington DC March 21-22, 2018. 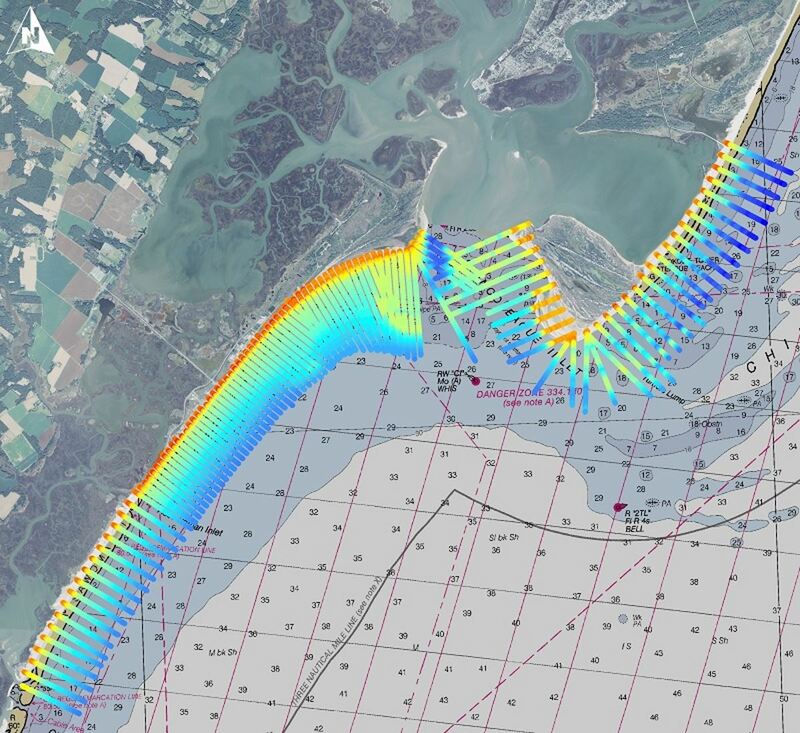 This prestigious award recognizes companies that use ESRI technology to help the US government run more efficiently and transparently by innovating in areas such as national security and marine exploration. 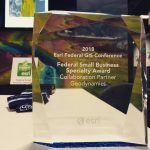 Dave Bernstein, Sloan Freeman, and Ben Sumners accepted the Federal Small Business Specialty Collaboration Partner Award for our work with ESRI’s Full Motion Video and our continuing collaboration with ESRI’s Maritime GIS team. 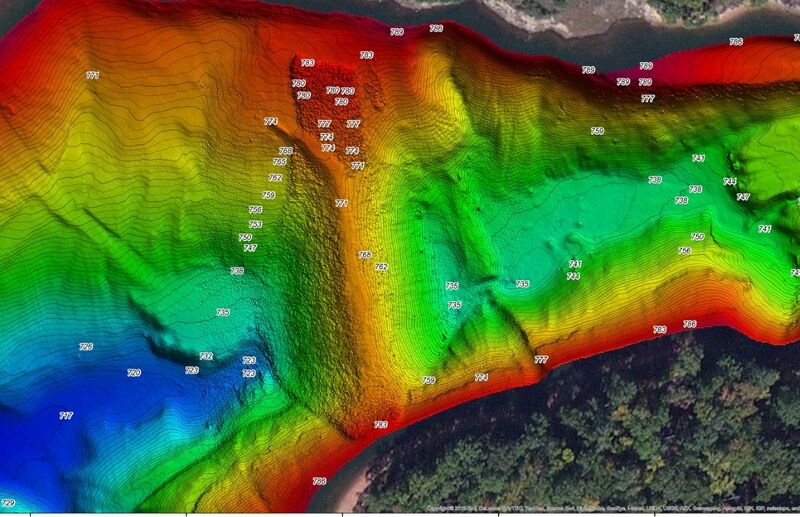 We sincerely appreciate ESRI’s team of product specialists, solution engineers and specialty consultants, whose expertise has enabled us to expand the data analysis and complex visual analysis products we offer our clients through this partnership. 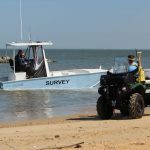 Geodynamics has been awarded a 5-year contract with the US Army Corps of Engineers Wilmington District to complete surveying and mapping tasks. 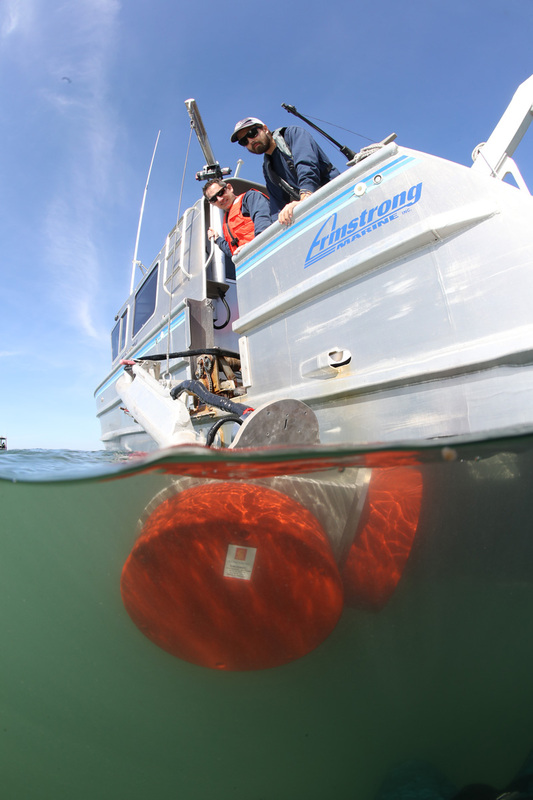 This is the second 5-year contract award, as Geodynamics was previously selected for this contract from 2010-2015. 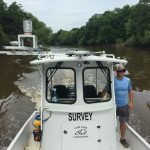 We are thrilled to continue our work supporting the Wilmington District with topographic and hydrographic surveys. 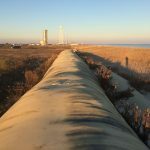 Geodynamics has been awarded a multi-year monitoring project at the NASA Wallops Island Flight Facility. 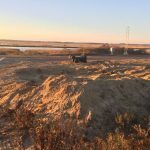 The effort will include biannual beach profiles of the shoreline surrounding the installation on Wallops and Assateague Islands. 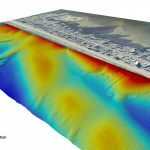 These beach profiles include RTK-GPS topographic portions and hydrographic data collected with motion-corrected singlebeam sonar. 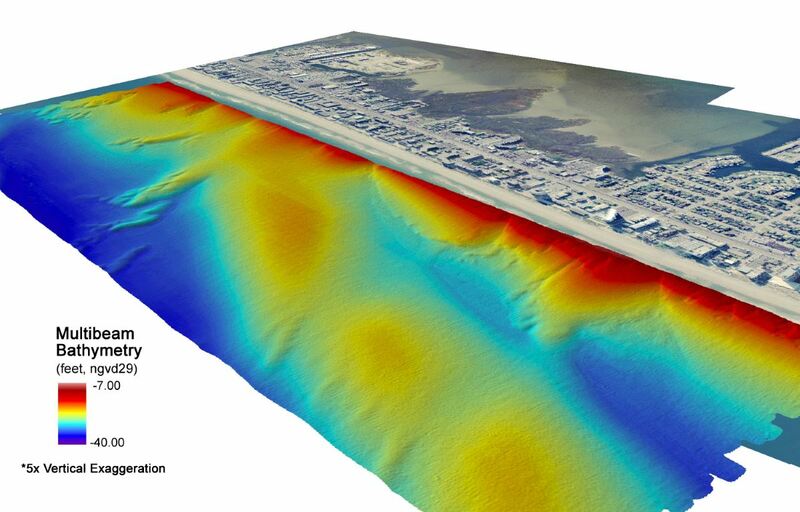 These repetitive surveys will provide important information about coastal change and erosion, supporting coastal engineers at Moffatt & Nichol. 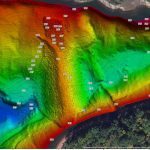 In addition to the seamless topo-bathy beach profiles, the project also includes initial aerial surveys to collect LiDAR and orthoimagery. 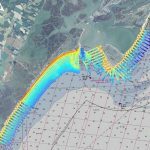 Geodynamics has partnered with East Carolina University and the North Carolina Division of Coastal Management for research to support coastal resiliency in the state. 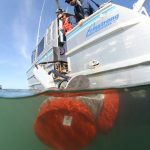 In a two-year cooperative agreement with the Bureau of Ocean Energy Management (BOEM), the team will evaluate the long-term effects of Hurricane Sandy and look for ways to protect the coastline in the future. 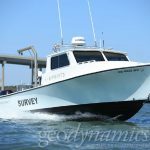 Goals of the research project include synthesizing existing geological and geophysical data offshore of NC, evaluating available sand resources based on existing information, and identifying gaps and prioritizing areas for future geologic and geophysical surveys. 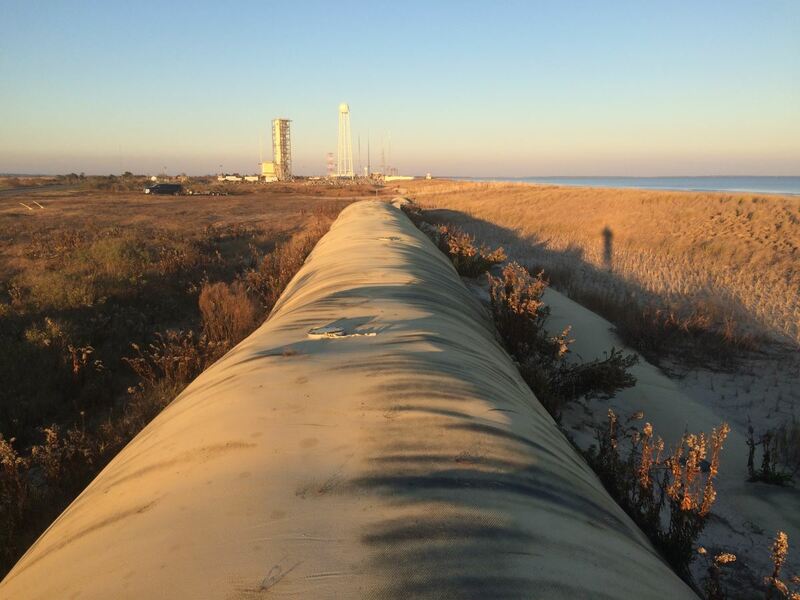 With landfall of Hurricane Arthur predicted for Carteret County, Geodynamics staff is preparing the office for heavy rains and high winds. 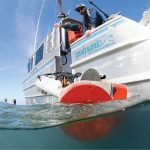 Our facility is built to the quality standards of an Essential Facility (like fire and emergency stations), to ensure that our equipment is protected during these events. 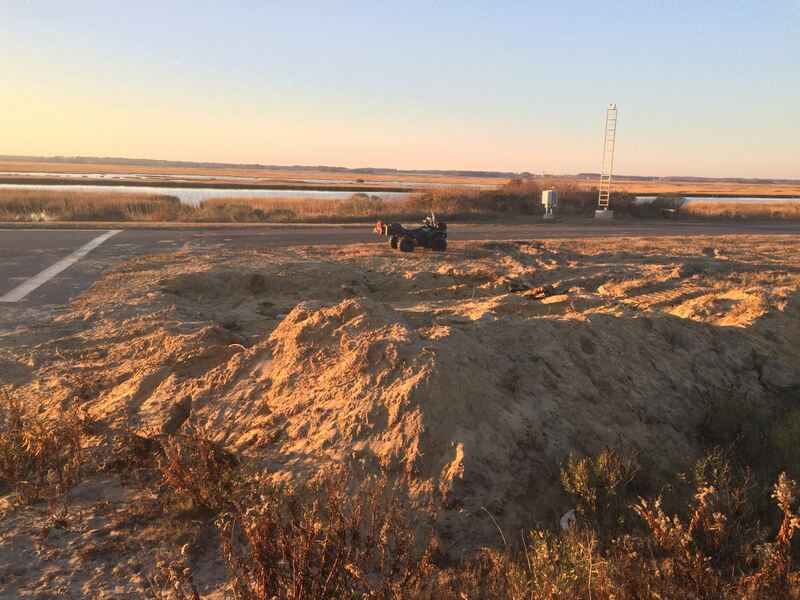 To guard against data loss, our servers are further protected in an on-site cement bunker, in addition to off-site backups. 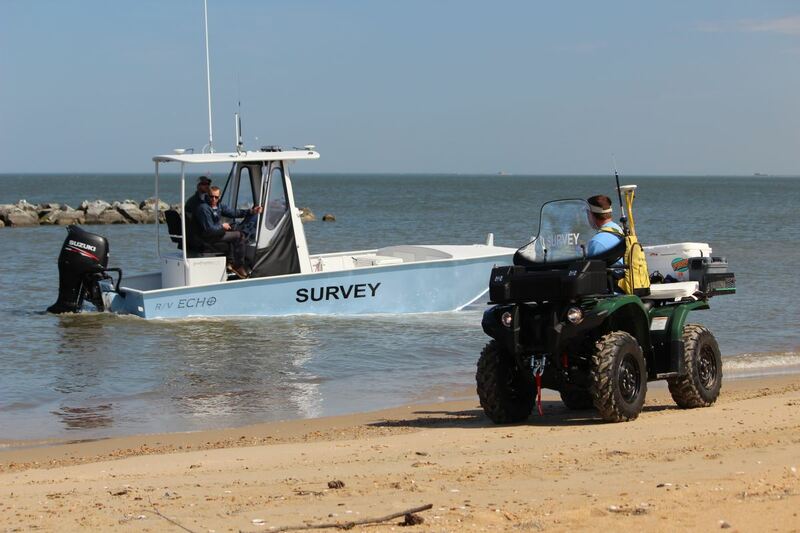 Our team is on standby for rapid-response post-storm surveys as necessary, but we all hope for an uneventful storm and a happy 4th of July for all!